Dogs are more than just pets—they're some of the greatest companions a person could ask for. They're always there for you when you feel like playing, need someone to make you laugh or are just looking for a cuddle buddy. But some dogs go far beyond the usual expectations of a pet pooch. In fact, some dogs take things to a whole new level. Just look at Andrew Brown and his four-legged friend Rocky. See, Andrew and Rocky may seem like your average man and dog combo, but they're actually best friends AND work buddies. 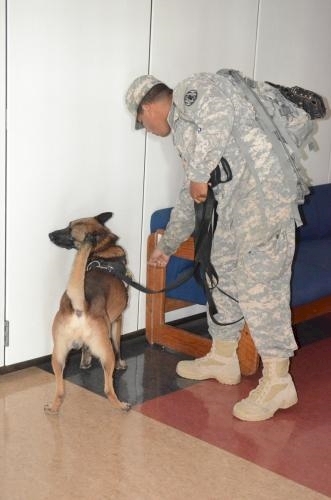 Army Specialist Andrew Brown has been military K-9 Rocky's handler for over two years. In that time, the two have spent hours training and working together and have ultimately built a pretty solid friendship. However, the two were about to learn just how dangerous their line of work can really be. 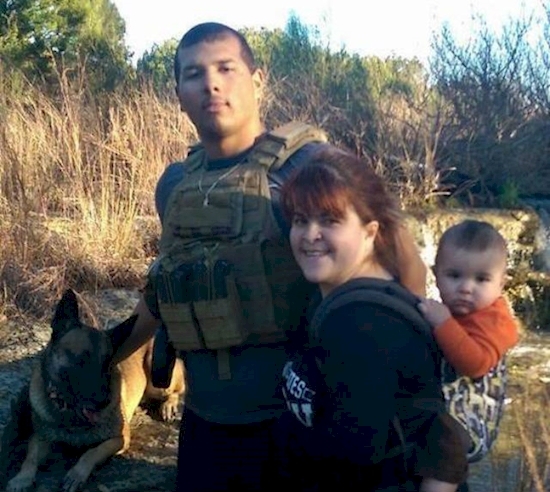 The two were sent overseas to Afghanistan when something horrible happened. 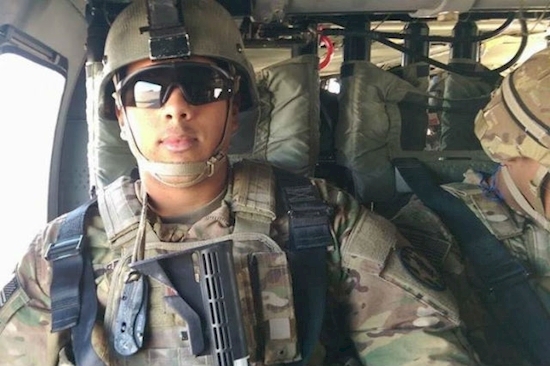 While searching a structure in Afghanistan, the two were hit by shrapnel from an improvised explosive device. 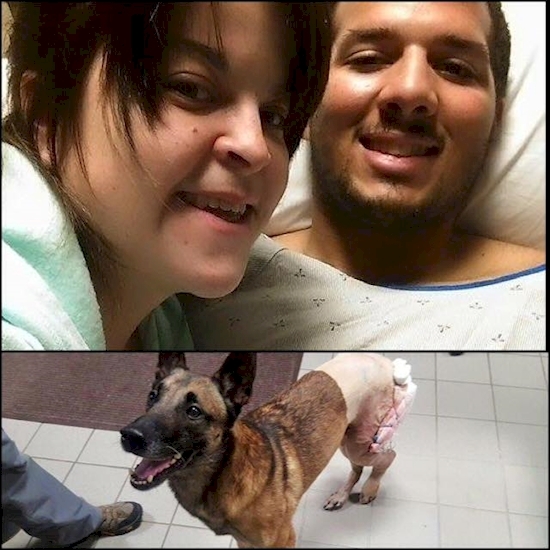 Both Andrew and Rocky were seriously injured and had to be flown back to the Walter Reed National Military Medical Center in Bethesda, Maryland. The two were given the proper medical treatment and were forced into a state of recovery. 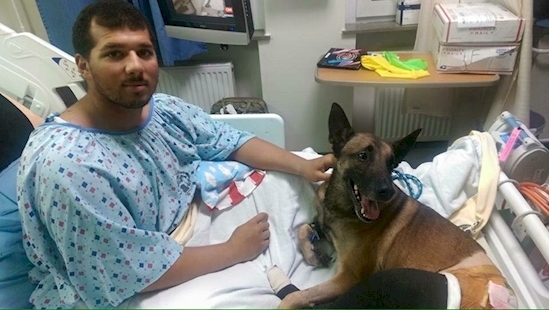 Believe it or not, the two companions were kept together in the same room at Walter Reed National Military Medical Center while they received treatment for their injuries. Though they were later separated to receive specific medical treatments, the fact that they were able to be together and aid each other in recovery is truly miraculous! They didn't know it yet, but the two buddies were about to get some much-deserved recognition. 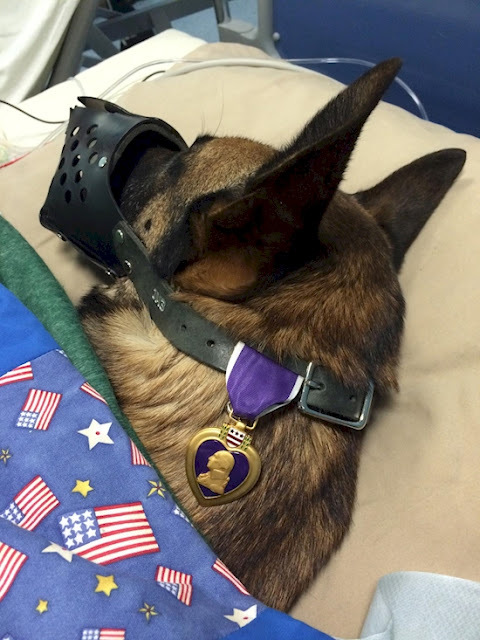 Both Andrew and Rocky were recognized for their bravery overseas and were awarded the prestigious Purple Heart for their valiant efforts. Their photos have gone viral and they've been receiving praise from thousands of followers all over the world. But Andrew wants to make sure that people know who the real hero is. "He does everything, I'm just really a guy with a leash. I bring him to the area and let him do his thing." 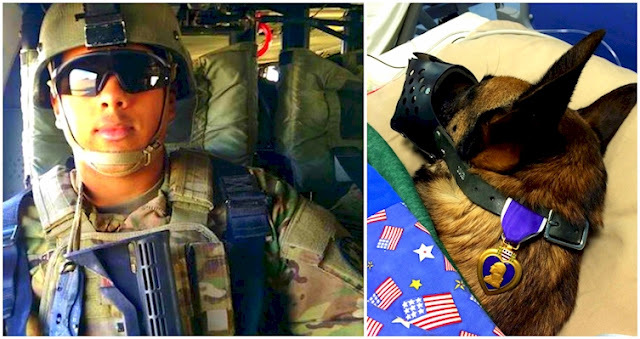 Regardless, Brown and Rocky are two heroes who risked their safety for their county and they deserve all of the recognition that they get.